There is a new $10 of $25 JC Penney coupon available! Combine this with sales and clearance for an ever great deal! Just in time for Back to School shopping too! 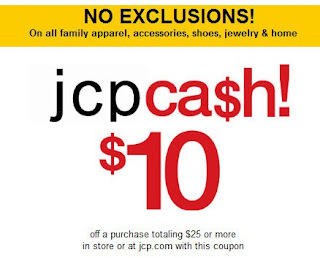 The $10 off $25 JC Penney coupon is valid through August 6th.